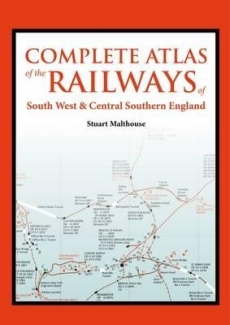 This new railway atlas by Stuart Malthouse is a complete labour of love and has taken many years to compile, showing as it does the railways of the South West and Central Southern England in astonishing detail. It shows a much wider range of railway types and their features than on most existing maps. The area covered extends from Cornwall in the South West to Hampshire in Central Southern England, as far north as Bristol and Swindon. Industrial railways are shown as well as passenger railways, and each map is accompanied by a detailed key of the public and private railway systems with dates of operation and gauges, stations and topographical features, together with detailed opening and closing dates and name changes. A chronology of the public railway routes also accompanies each map, which includes independent public railways or independent private railways with public rail involvement. The atlas is prefaced by 76 pages of detailed information about the railways and a detailed chronology. 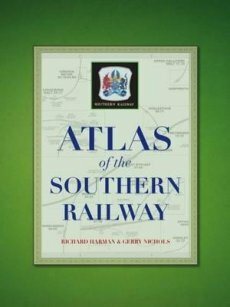 Be one of the first to review the Complete Atlas of the Railways of South West and Central Southern England.